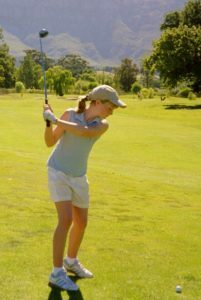 Have you been wanting to buy your child golf clubs but you’re not really sure where or how to go about the process of buying the right clubs? The issue that I run into from time to time is parents aren’t really sure what to buy so they just go to a local golf store and buy something they see off the rack. The issue with this is that the clubs might not fit the child properly and that can start to form some bad habits in his or her golf swing and makes the game more challenging for the junior than it needs to be. I would highly recommend purchasing golf clubs through the US Kids golf website. It’s a very simple process click the link below and on the front page click on the tab “Products” then click the tab “equipment” on the left hand side of the screen you will see various heights- click on the height of your child and you will see a list of different club options for your child. Some options include a golf bag, some are just the golf clubs themselves; each selection will fit your child properly.